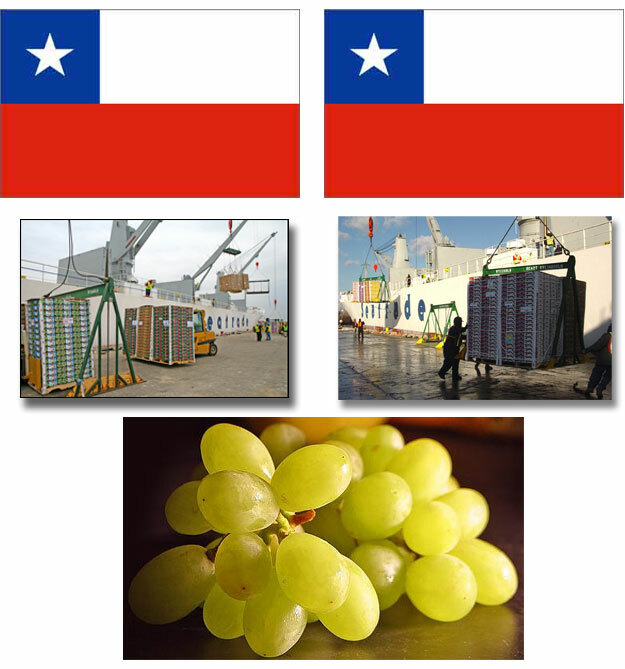 On April 10th, all seedless grapes being imported into the United States from Chile will have to meet U.S. Import Requirements. What exactly does this mean? The United States has import requirements that are effective on April 10th of each year. These import requirements offer protection for California grape growers from having competing countries export below quality grapes into the U.S and, and lowering the price for the market. These U.S. grape growers must also follow the same the requirements as those of imported grapes, that is; for the grapes to be marketed in the U.S., the grapes must meet the minimum requirements of the U.S. No. 1 Table Grade. In other words the table grapes can still be imported from Chile, but the seedless grapes must meet the requirements of U.S. No. 1. The hardest part of making the U.S. No. 1 Grade is for the Chilean growers to ensure the grapes do not exceed 1/2 of 1% decay in any lot. That is the requirements for decay, for table grapes inspected for import requirements. If the grapes do exceed the 1/2% tolerance for decay the importer still has a few options. Some importers have attempted to recondition the grapes, cutting away and removing all decayed grapes. Of course that is extremely time consuming and labor intensive, so many fore-go that option. If possible, the importers will divert their failed lots of grapes to Canada, barring there is a market for them. And the last and most commonly used option is dumping the grapes in a dumpster or a landfill. Yes, the grapes can still be imported into the U.S. but the high stakes of hoping they make the requirements of U.S. No. 1 is surely a gamble…..and after being on the water for 10 or more days, that prospect doesn’t appeal to too many. I am the famer of China, we have many grapes and apples, we wish to export it, if you are interested, pls contact me !